Another successful event hosted by the four Rotary Clubs in Richmond… The Paul Harris Fellow Award Ceremony! 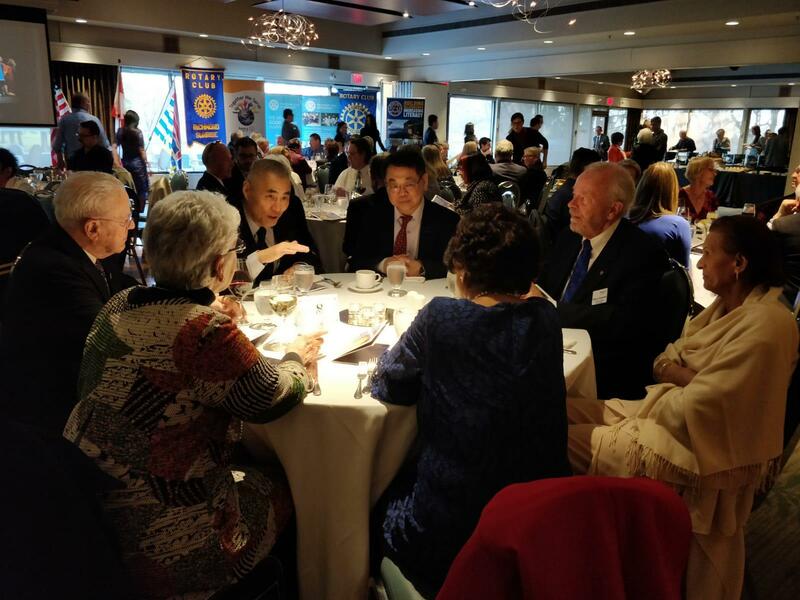 The Richmond, Sunrise, Sunset, and Steveston Rotary Clubs honoured the outstanding individuals in their communities on March 30, 2019 at the Richmond Country Club. 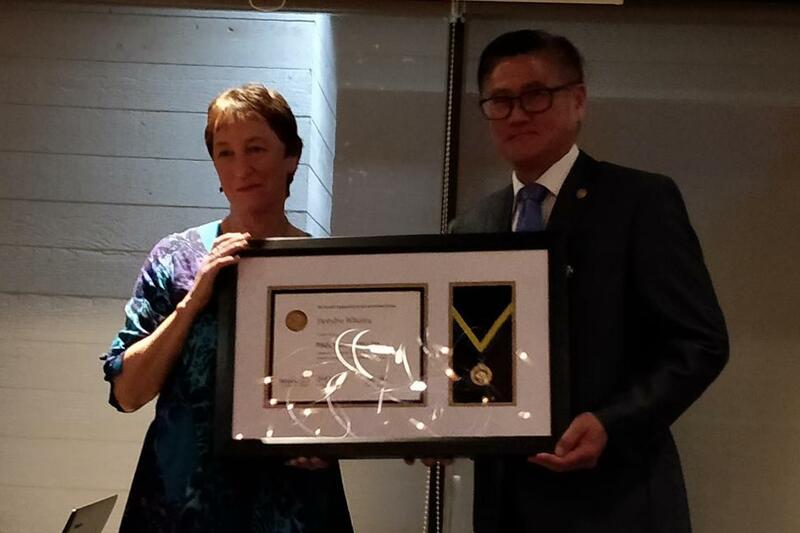 About 130 Rotarians, their friends and families recognized the significant contributions of the eight recipients of Paul Harris Fellow Award in the Richmond Community. 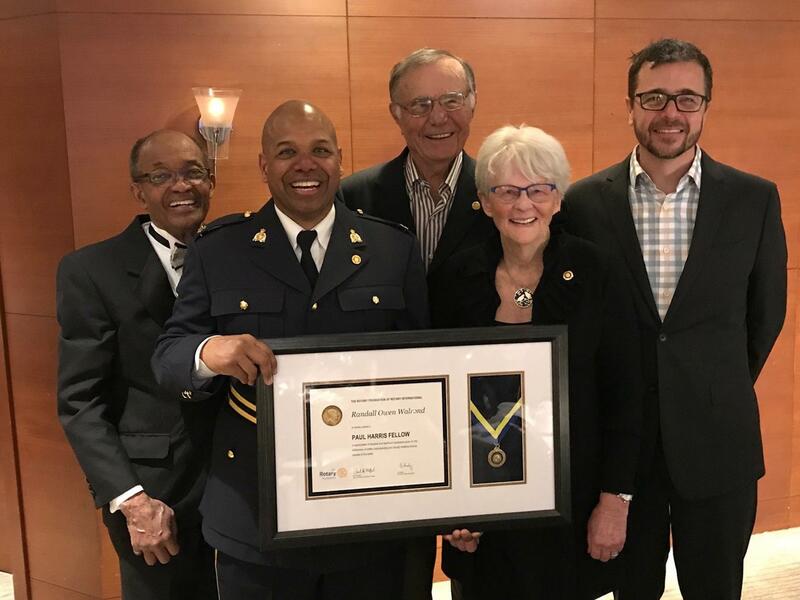 The honorees were: Randall Walrond, De Whalen, Barry & Laurie Cavanaugh, Kush Panatch, Kay Philips, Helen Qian, Walter P. Tyrrell, and Dianne Woodhouse. De Whalen is the founding member of Richmond Food Security Society and Richmond Homelessness Coalition. Currently, she is the Chair of the Richmond Poverty Response Committee (RPRC). RPRC is “a coalition of Richmond residents and agencies working together to reduce poverty and the impacts of poverty. De believes housing is a human right and the community has a social responsibility to house the most vulnerable residents. Attendees enjoyed good foods, fellowship and the heart-warming speeches by the recipients. The Organizing Committee received encouraging responses requesting more joint events of the four Richmond clubs in the future! Thanks Bob Blacker, Past District Governor, for emceeing the ceremony! Kudos to the Organizing Committee for putting together such a wonderful event! And, special thanks to Rick Duff for his dedication and efforts in steering the planning and organizing process!